(Aleah Milliner) For the past few years, budget cuts and reduced state aid have continued to affect Kansas’ schools. However, some schools continue to perform well, even ranking among the top in the country. 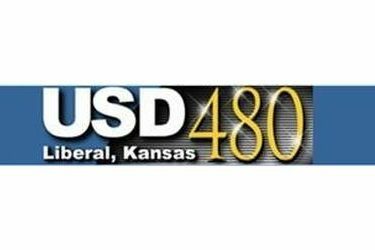 State aid to Kansas school districts decreased by $10 million, a 0.4 percent cut, during the 2014-2015 school year, according to Craig Neuenswander, director of school finance at the State Department of Education. State aid was frozen at the 2014-2015 funding amount for all districts. Still Kansas is ranked 10th in the nation for education – based on 15 measures of educational performance – according to the Kansas Association of School Boards. Despite the budget crunches, schools such as Liberal and Wichita Northeast Magnet are ranked among the top 10 in the state and the top 10 percent nationwide. At Liberal High School, 81 percent of students are eligible for the free-and-reduced lunch program. Principal Shiloh Vincent is determined to see his students succeed despite issues facing his school in the midst of budget issues. Liberal has operated from a frozen budget for the past three years, with a 0.8 percent cut at the end of the 2014-15 school year. Nonetheless, the school continues to grow. USD 480 has seen about a 100-student-per-year growth for the past several years. Liberal is ranked No. 8 in Kansas and No. 2,218 for 2016 by U.S. News and World Report. National rankings are out of 21,000 public high schools in the U.S. and are based on state assessment performance and how well each school prepares its students for college. Vincent said the largest issue that cuts have created is outdated technology. Some equipment in his schools is 10 years old. “We have students that are going to leave here and go to KU or K-State. If they get to the university and have to work with technology they previously have not had access to, we aren’t doing a good job setting them up for success,” he said. Vincent said Liberal remains successful because of the quality of teachers and the effort the students put into their own success. Liberal has also implemented a program called AVID, a nationwide program that helps close the achievement gap and prepares students for college. “If you have a culture within your school of high standards, and you have the right teachers to create the learning experiences that will help those students reach their goals, you are able to overcome a lot of different obstacles,” Vincent said.